Large-in-scale trading platform saw a record of more than €2 billion in notional value traded in June this year. Bats Europe’s LIS block trading platform has seen more than €2 billion in notional value traded in June, a record for the exchange operator. Having launched just four months ago, Bats LIS now has more than 85 buy-side firms connected and using the service with an average trade size in June of more than €1 million. Several global sell-side firms have also signed up to use the large-in-scale trading service including JP Morgan, Credit Suisse, Liquidnet and Deutsche Bank. Further statistics revealed average daily notional value traded on Bats LIS stood at €91.3 million in June, up from €74.3 million the month prior. 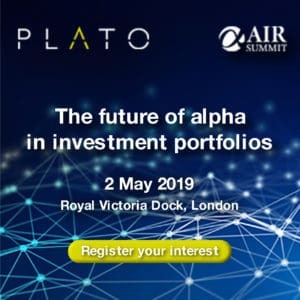 The platform - developed in partnership with BIDS Trading - is MiFID II compliant and allows for indication of interest (IOI), negotiation and execution for participants to negotiate large blocks in European equities without revealing intentions to the wider market. MiFID II will see large-in-scale trading benefit from waivers enabling participants to negotiate without pre-trade transparency. 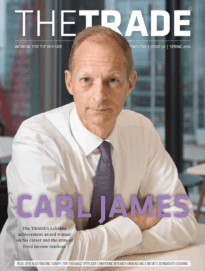 Speaking to The TRADE at the time of its launch Mark Hemsley, president for Europe at CBOE, said the exchange had recognised the industry’s need to have solutions before MiFID II’s implementation deadline. Discussing the recent record performance of Bats LIS, Hemsley added it had ‘struck a chord’ with the industry, in particular with the buy-side. “By ensuring buy-side firms have the option to retain control of their IOI disclosure and negotiation, market impact is reduced. Alternatively the buy-side can represent their trading interest via brokers who also access the platform,” he said.